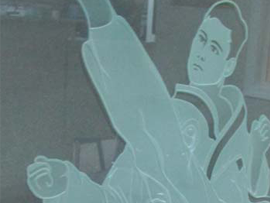 Etching is created by applying a design to glass or mirror and using an abrasive under high pressure to imprint the design into the glass. 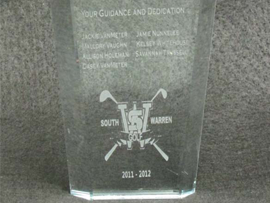 The etching process can be done on almost any type of glass: annealed, laminated, mirrored or tempered. Recently, Bowling Green Glass has also added the ability to glue-chip glass, a process which leaves the glass with a “winter frost” look. 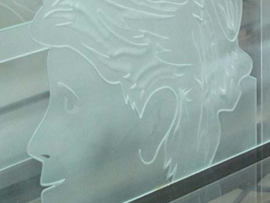 Visit our showroom for examples of etching and glue-chipping. Our artist meets with each client and creates the perfect design for each. 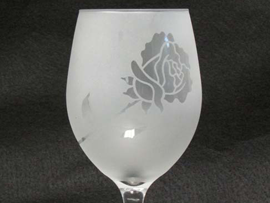 Anything that can be printed can be etched. 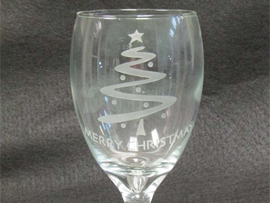 Call us today to set up a meeting with our artist to create the perfect design for your etching needs.